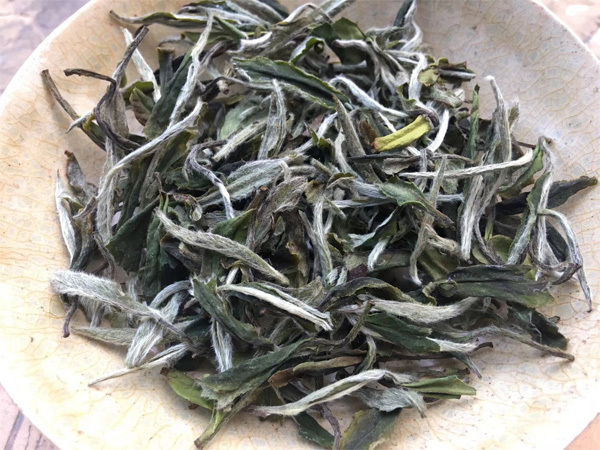 Bai Mu Dan White Tea, also known as white peony tea in English, is one of the most famous Chinese white teas. 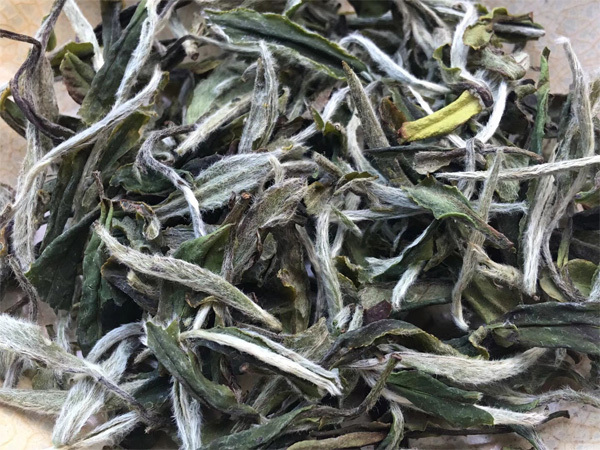 The name comes from the fact that when Bai Mu Dan is brewed, the green leaf and silver center bud will open and it looks like a white peony. It is produced in the North area of Fujian province of China. The high grade of this tea is made by one bud and one newly opened leaf, while the lower grade is made by one bud and two leaves. 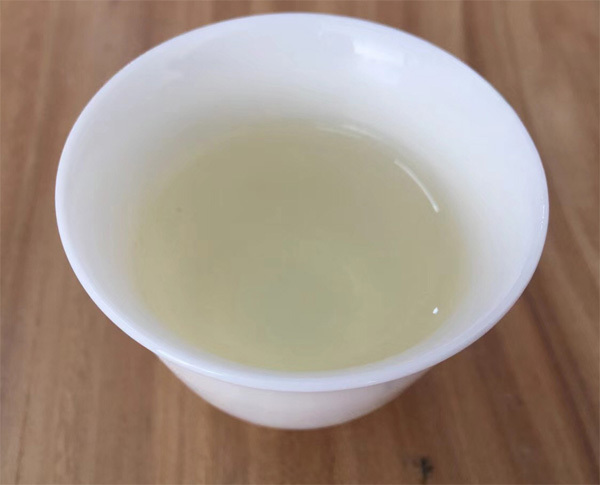 The leaf material of this tea is more grown than that of silver needle, thus sometimes it is preferred by white tea drinkers for its fuller flavour and greater potency than silver needle. Bai Mu Dan is a slightly fermented (oxidized) tea. The processing follows the typical white tea processing. The plucks are sun withered or indoor withered for a longer span. When the withering goes deep, the water content in the tea leaf cells is reduced and the cell membrane loses its function. The enzymes in the tea leaves interact with other constituents to form new materials which result in the final taste and aromatic character of the tea. This is slight fermentation of Bai Mu Dan white tea. In the final stage, the withered leaves undergo baking for enough dry and packing. The traditional baking of this tea is conducted by charcoal heat. Throughout the process, the leaves are handled very gently to make the tea leaf shape as complete as possible. It is important to make sure that the tea leaves are heated evenly in order to avoid any smoky flavor or burning flavor. Being one of the least processed teas, it contains rich anti-oxidants, polyphenols, catechins and EGCG which can regulate fat metabolism, improve immune system, protect teeth, and eliminate free radicals. And it can also make skin turn white and shiny. It is a great alternative beverage choice to coffee. How Does It Taste? This White Tea has a matured lingering floral flavour with a hint of slight fermented honey flavor. The taste is clean full-bodied and it has levels of taste. The aftertaste is sweet. Step 3: Infuse – To make the best cup of This Tea, it is advisable to keep the steeping time of 2-3 minutes. Step 4: Best paired with dishes with mild honeyed flavours or any dessert, but not ice-cream. This Tea and a range of other premium loose Chinese teas are available for purchase at wholesale prices at Wufeng Tea.